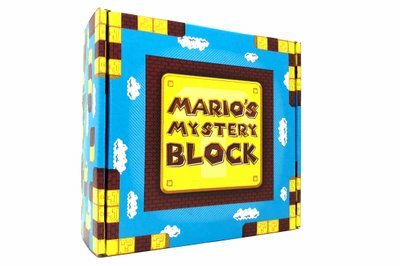 Enter your email address below to receive a notification when Mario's Mystery Block starts accepting new sign-ups! 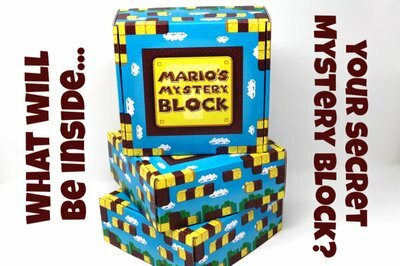 Enter your email address below to receive a notification when Mario's Mystery Block is accepting new sign-ups again. The last day you can sign up for your first Mystery Block is easy to remember - the last day of the current month. 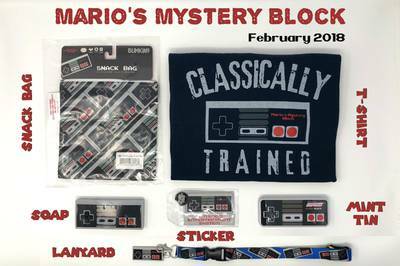 This means if you subscribe anytime in January you will receive your January Mystery Block in early February. You will usually receive your Mystery Block within the first 10 days of the current month for last month's Mystery Block. For fans of all ages who love Nintendo! 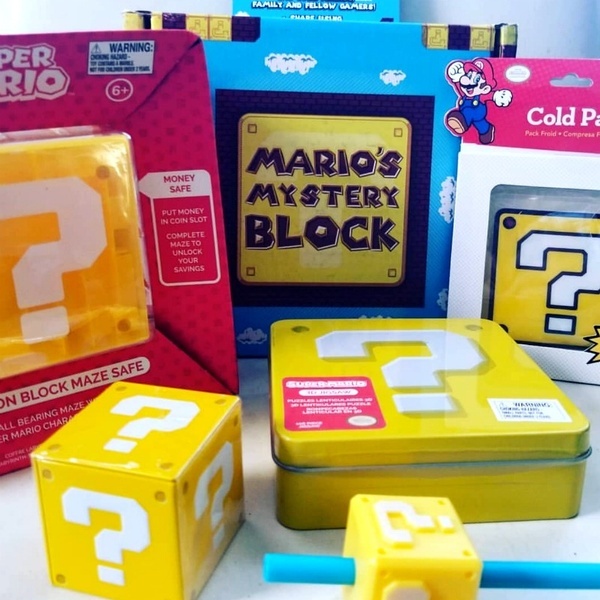 Mario's Mystery Block is a celebration of all things Nintendo! We deliver a mystery box full of high-quality loot valuing over $40 at retail every month. 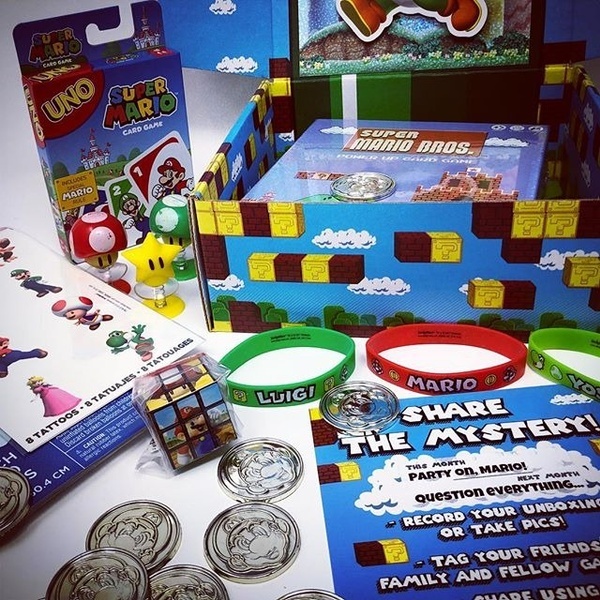 Mystery items can include toys, novelty items, candy, t-shirts, & more straight from the world of Nintendo. Perhaps your favorite character or console will be next month's theme. Subscribe today! New theme every month based on Nintendo characters, consoles, franchises, and more! 3 to 6 mystery products per block! 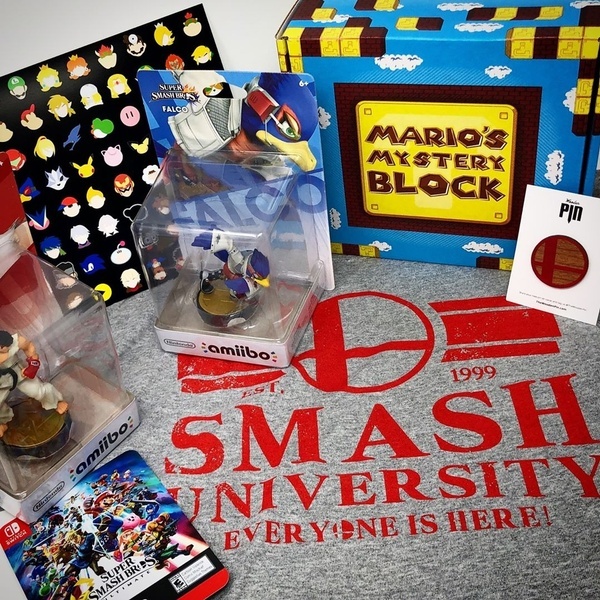 Products may include: Officially licensed Nintendo toys and figures, novelty items, apparel, high quality plush, candy, and more! 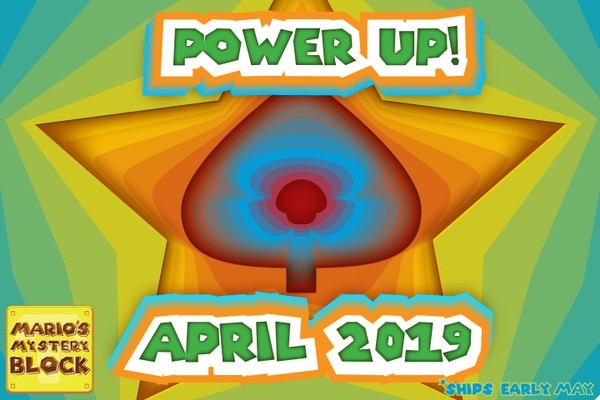 Fun surprises each month for Nintendo fans of all ages! Retail value: $40 or more of awesome Nintendo loot! November's Mystery Theme: Everyone is Here! The most anticipated Nintendo Switch game on 2018 deserves to be showcased before it's released! October's Mystery Theme: Question Everything! 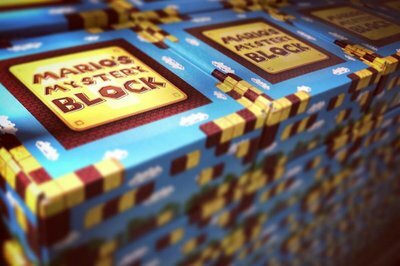 We celebrate our 1-Year Anniversary by revisiting the famous Mystery Block that inspired us! 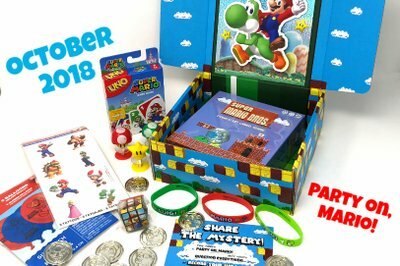 September's Mystery Theme: Party on, Mario! Nintendo turns 129 years old and Super Mario Party is about to be released? Let's celebrate!